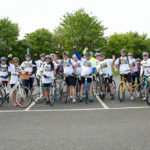 Pilgrims Hospices Cycle Challenge will return on Sunday 5 May 2019. 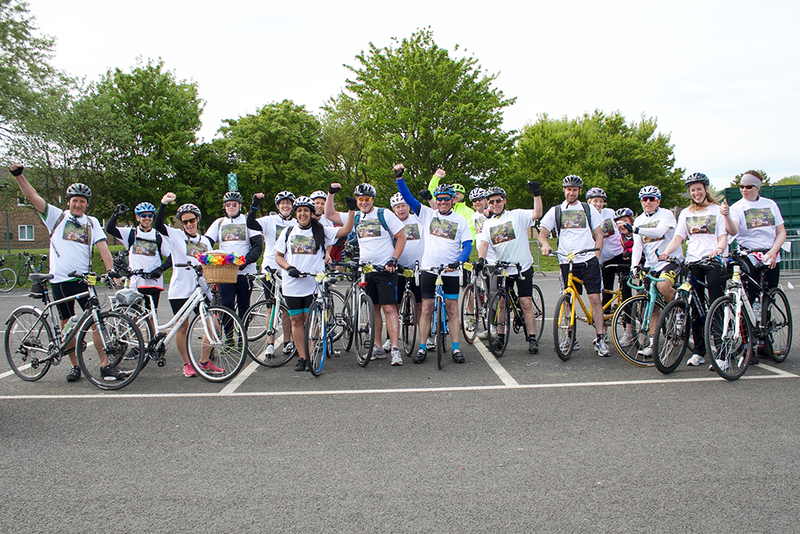 Kent’s biggest charity ride is celebrating its 10th anniversary! 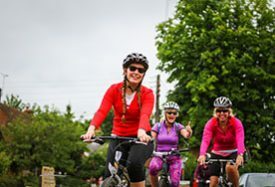 Get on your bike and join more than 1,200 cyclists of all abilities as you explore the beautiful Kent countryside with friends, family and colleagues. 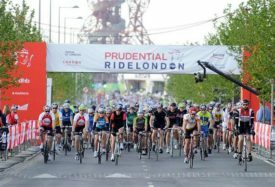 With over 630,000 miles cycled since 2010, the Cycle Challenge is a firm favourite and it’s set to be even bigger than ever! 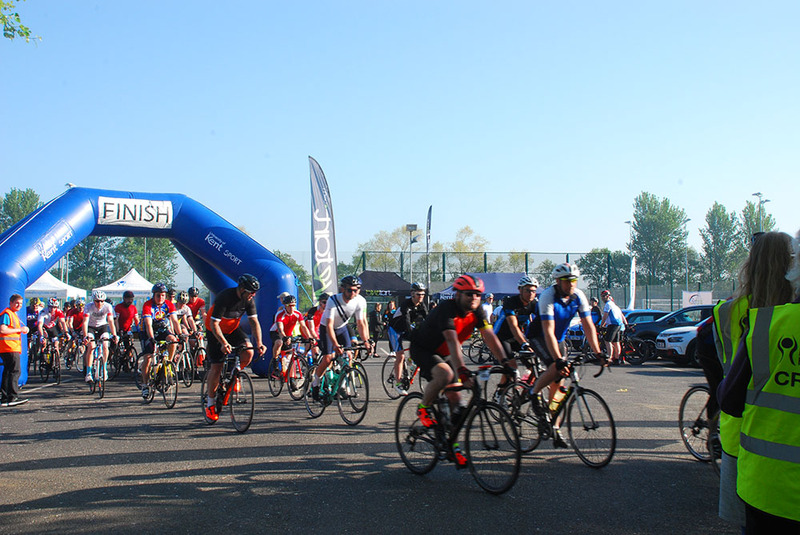 Since the very first Pilgrims Cycle Challenge in 2010, our wonderful community of cyclists have raised more than £825,000 to support the care of thousands of people living with incurable illness in east Kent. 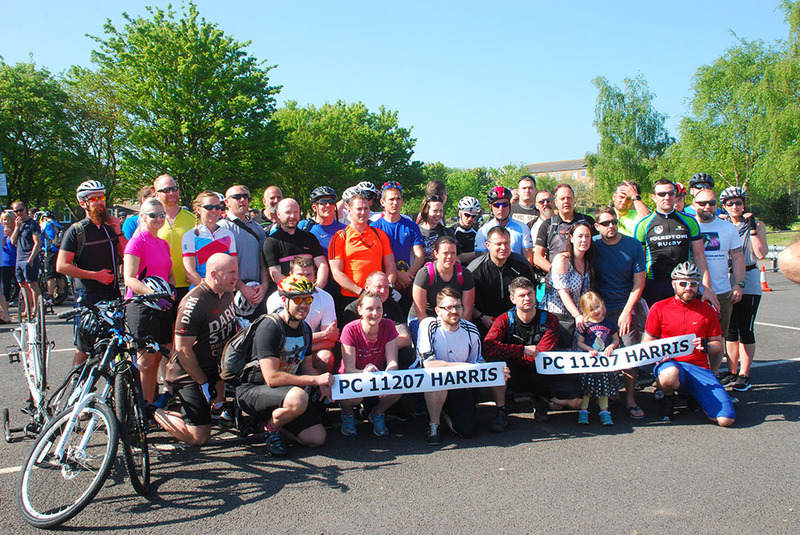 Now, as the event celebrates its 10th anniversary, we need your help to make this year’s Cycle Challenge our biggest yet and reach our £1 million goal. As well as many more great prizes. Tickets are just £1, or £5 for a book of tickets. Get yours today from your nearest Pilgrims Hospice reception or contact Lydia Todd on 01227 812621 / lydia.todd@pilgrimshospices.org. The raffle will be drawn on Sunday 5 May 2019 at 17:00. All proceeds going to Pilgrims Hospices. You must be at least 14 years of age to participate in the Cycle Challenge and riders under the age of 18 must be accompanied by a participating adult. A circular route visiting our Ashford hospice before turning east through the Elham Valley and onward to the picturesque town of Sandwich. From there, you’ll head through flatter countryside and towards Herne Bay before making the final push through the beautiful Thorden Wood. 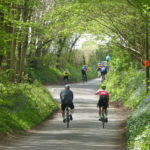 A circular route connecting all three Pilgrims hospice service areas and incorporating an undulating approach to Dover for the ultimate challenge; always a hit with those looking to test their legs and their lungs to the next level. Introducing an epic 125 mile circular route connecting all three Pilgrims hospice service areas that visits the fast and flat Romney Marsh before rejoining the 100 mile route; this is the ultimate test of strength and endurance for those ready to step up to the plate. All routes will start from, and finish at, our event village at the University of Kent near Canterbury. It’s more than just a registration area – with trade stands, our renowned Dr Bike mechanics, sports massage, local cycling interest groups, hot food and drinks and much more, you’ll enjoy all the excitement of a cycling festival. Ample free parking is available across the campus as shown here. We’ve tweaked our popular ride routes to make them even more enjoyable. And for those looking to take their ride up a gear, we see the return of the notorious Stowting Hill. 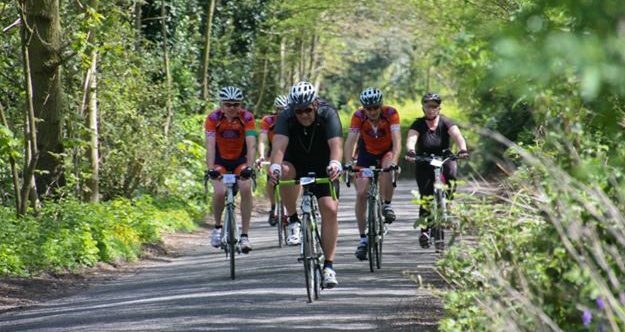 Explore the landscape of east Kent like never before, all the while knowing that, with every pedal, you’re making a huge difference to the lives of local people who are living with life limiting illness. Official Pilgrims Hospices event app available for free download to iOS and Android devices. 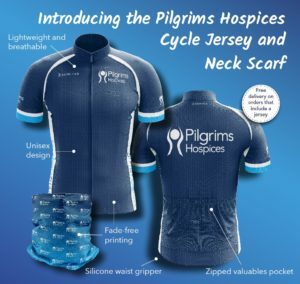 We’re excited to bring you the official Pilgrims Hospices cycle jersey and neck scarf. 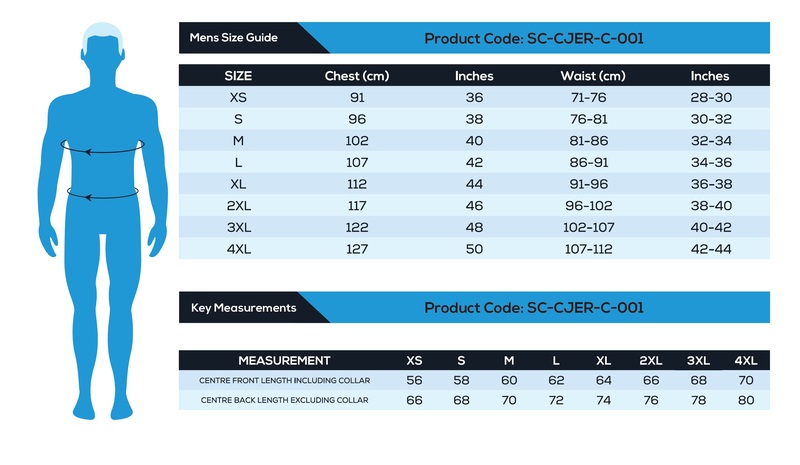 Show your support out on the road with these stylish, quality garments, packed with great features such as a zipped valuables pocket, full length zip and silicone waist gripper. We also have Pilgrims neck scarfs, ideal for keeping you warm on cold or windy days, and providing shade from the sun on hot days. Grab yours today and help us be there for thousands of people coping with incurable illness in east Kent. Order yours today by contacting 01227 812609 (weekdays 9am-5pm) or anytime at robert.grew@pilgrimshospices.org, or buy yours at the Cycle Challenge event on 5th May! Our popular series of training rides will begin on 3rd March to get you cycling fit and to build up your confidence, especially if you’re a novice cyclist. 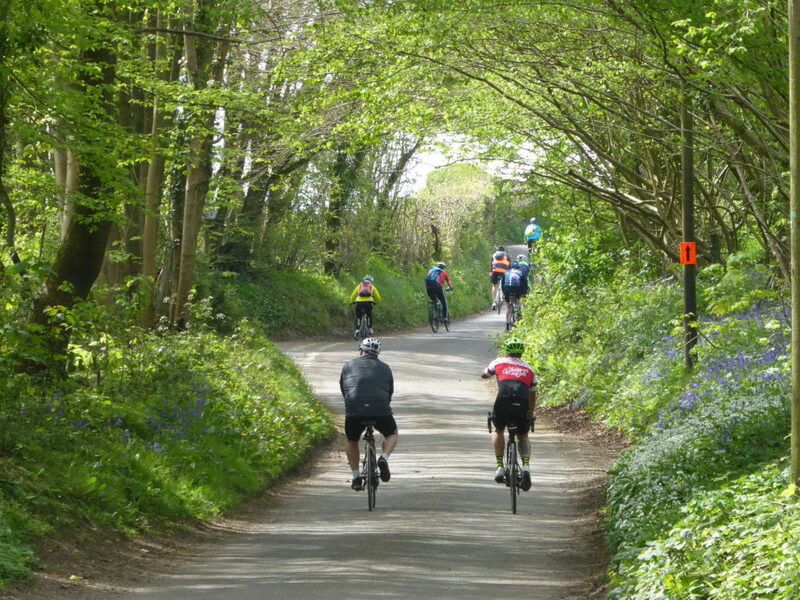 Our training rides are led by experinced volunteer cyclists. 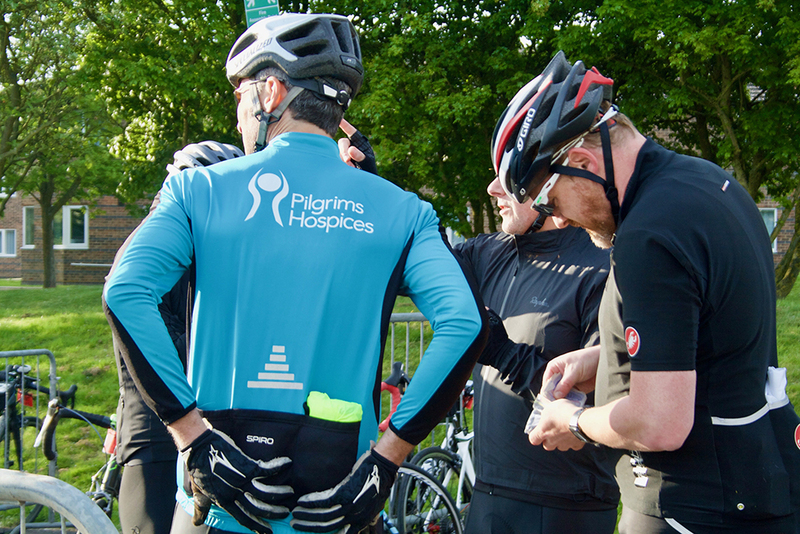 Please click here for information on our TRAINING RIDES for 2019 or view via the Pilgrims Hospices event app (iOS and Android). We cater for all abilities on these rides. We want you to feel good about your cycling and have the best possible experience on the day. The rides are free and perfect for those who have already signed up for the Pilgrims Hospices Cycle Challenge and are looking to train, as well as for those wanting to gain some cycling confidence before registering for the main ride. 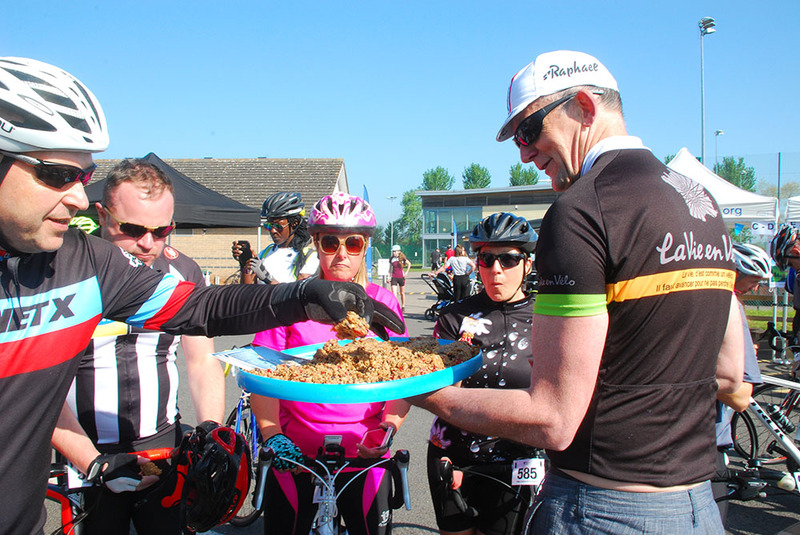 Guests are welcome (those not undertaking the main Cycle Challenge) to attend the training rides too, although in this instance we do ask that you consider making a donation to Pilgrims Hospices in appreciation for our ride volunteers’ time. A £10 donation could pay for a patient’s meals for the day. Thank you to everyone who has generously supported the sociable cycling group in 2018. If you’re on Facebook, you can also join the Pedal for Pilgrims group, which is led by a team of fantastic volunteers who organise regular rides throughout the year while raising money for Pilgrims at the same time. 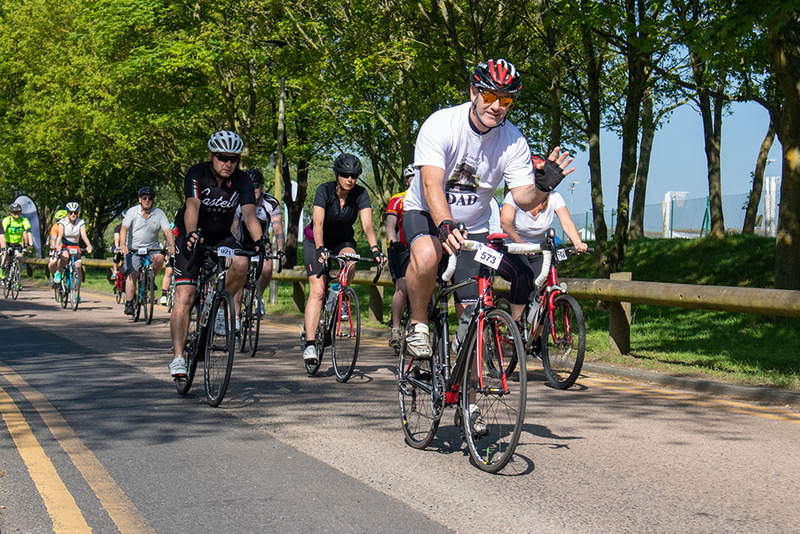 The Cycle Challenge couldn’t raise the fantastic amount it does for Pilgrims Hospices without the kind sponsorship of the following organisations: Kent Sport – University of Kent, Biketart, Barretts, Leydon Lettings and London Array.